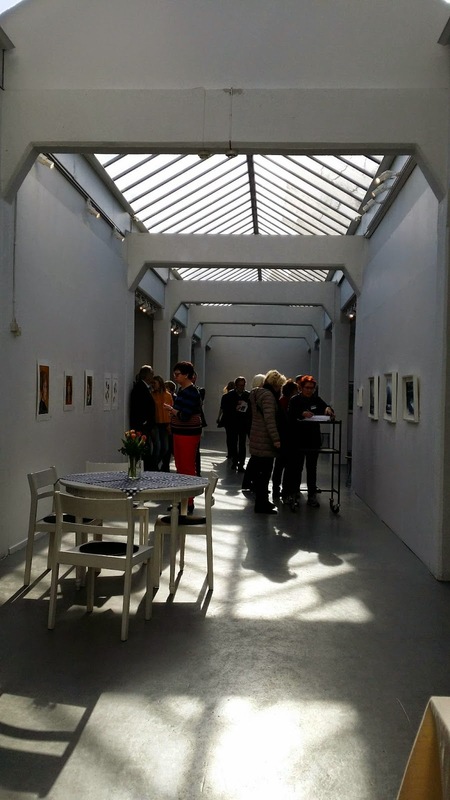 What is a successful exhibition? The weekend is over but there are still 3 days left to see our exhibition. 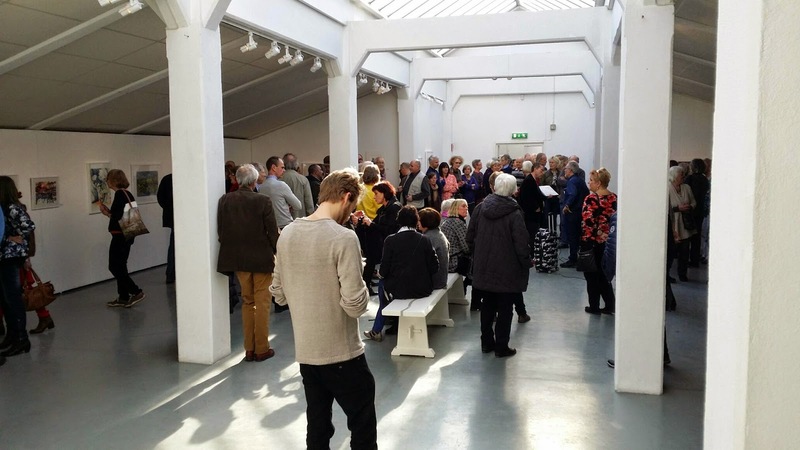 There have been so many visitors to the gallery, at least 600 on the opening day and a few hundred yesterday. I have sold a lot of paintings for a record amount which makes me very happy. I of course have to pay for the rent of the gallery, the drinks, the snacks – not to mention the framing costs of course. So I cover my costs and make a small profit and that makes me happy. I think the real success is that I have had time to get to know Tina Thagesson and Daniel Luther, the two other artists in the exhibition. I have sold art to people who have bought my art before which is great but also people who don’t know me personally. The latter is a big step in my development as an artist because it is a lot harder to sell to strangers, my paintings are becoming more professional maybe! So, I am happy, it’s a lot of work but it has been worth it. Author meldrumPosted on 2018/03/19 2018/03/19 Categories exhibition, My Life Drawing, WatercolourTags danielluther, davidmeldrum, galleri, gallerimovitz, gallery, meldrum, meldrumart, movitz, tinathagesson, watercolor, Watercolour2 Comments on What is a successful exhibition? I am happy with my exhibition so far. The opening day is when one sells the most, like my first exhibition in April it was mostly friends who bought and I am so happy they did. Next year the challenge will be to sell to strangers outside of my circle, I have a summer show that will be a true test as I am not the organiser of the event. I’ve started painting for that exhibition already as I have lots of free time right now at my current exhibition. 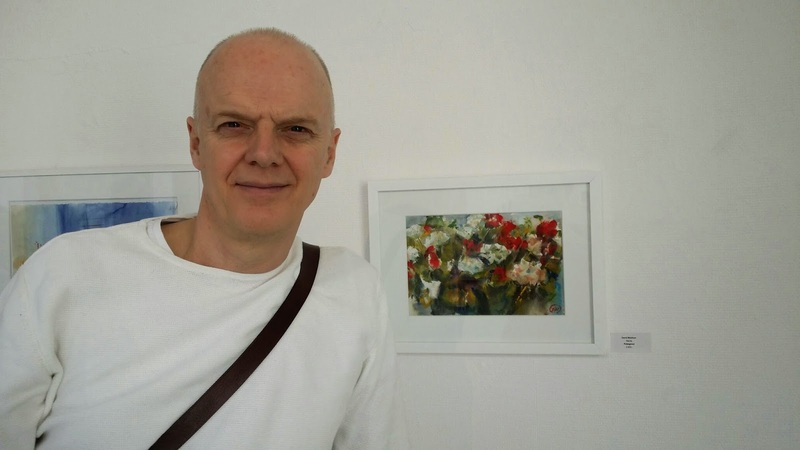 I had a wonderful day at Edsvik’s watercolour exhibition where I have two paintings on view. I met a lot of new watercolourists plus a few heroes which was nice. The exhibition continues until the 28th August. Introducing myself and telling the crowd where my paintings are hanging. At least one person admired my work! All my art is now framed for the opening at Galleri T this Saturday. Over 40 watercolours plus 20 figure drawings to see. Galleri T is on Österlånggatan 3, Stockholm, Sweden. Over 40 watercolours plus 20 figure drawings are framed and ready. 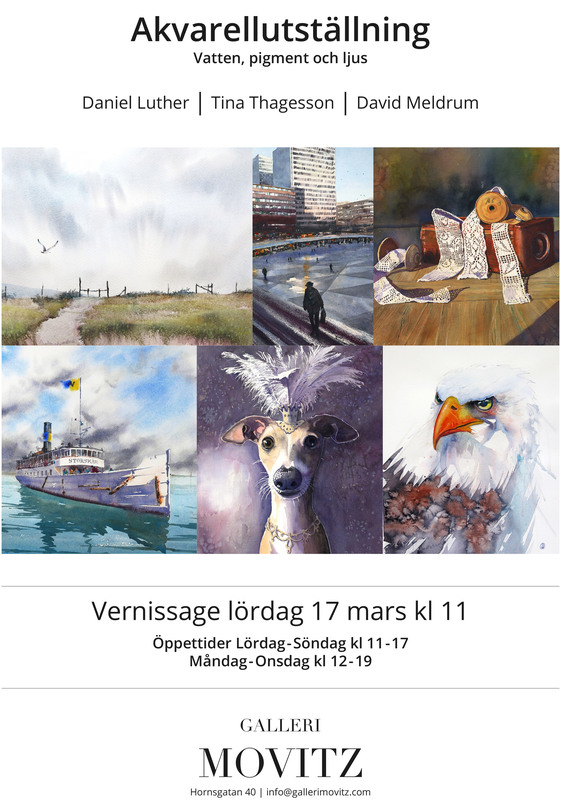 I was delighted to have one of my paintings accepted for the annual watercolour exhibition at Väsby Konsthall, an art gallery that’s a short distance from Stockholm. This is my first time so it was a trill to be at the opening yesterday. One painting may be a modest start but for me it is a very important step in my development as an artist.